See you at our PAX West presentation! I’m happy to write you with news of big changes coming to With a Terrible Fate very soon. We’re getting ready to grow in some big ways, and we want you to be a part of it. 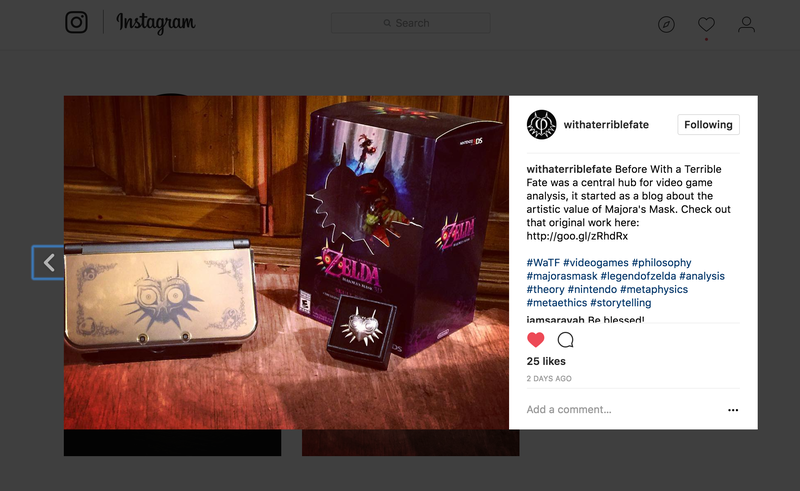 I founded With a Terrible Fate back in 2014 with a single, simple (if not somewhat crazy) goal: to write about the artistic value of Majora’s Mask every week until its remake was released. That work confirmed in my mind that video games really are a new and special mode of storytelling, one that deserves way more rigorous attention than it’s currently getting. 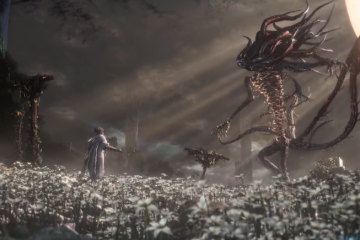 This idea—that video game storytelling deserves more rigorous analysis—inspired me to grow With a Terrible Fate into a central hub for the analysis of video game storytelling. I started using my education in philosophy to analyze other games, publishing work on titles like Xenoblade Chronicles and Bloodborne. Something exciting was happening: the more I talked with other gamers about my work, the more I could see how much they appreciated this kind of serious attention being paid to games. I realized that these other gamers had their own insights into the stories of video games, and that together, we could discover more about video games than I ever could on my own. That’s when I decided to start bringing on Featured Authors: writers besides me, each of whom has their own unique perspective on the storytelling of video games. 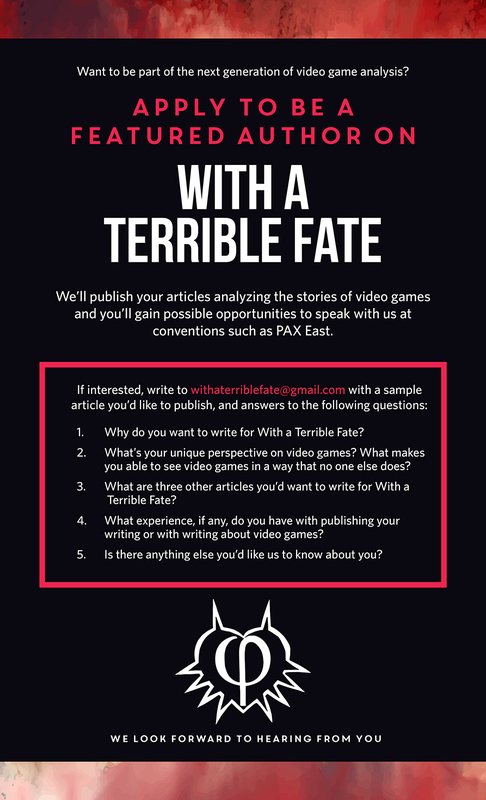 With their help, With a Terrible Fate evolved from being a blog about the philosophy of video games to being a website dedicated to the serious analysis of video game storytelling. Thanks to this team of like-minded video game analysts, With a Terrible Fate has grown a lot in the past couple of years. One of our most recent, thrilling milestones was speaking at both PAX Australia 2016 and PAX East 2017. 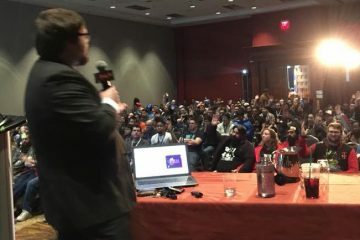 Each of these talks drew hundreds of gamers and developers who were ecstatic for the chance to dive deep into the storytelling dynamics of their favorite games. One of our writers was also recently cited in an academic journal article. This is exciting for me, because it shows that the site has grown into something that’s both academically valuable and extremely interesting to the everyday gamer. This past May, I finally graduated from college (earning a degree in philosophy that included an honors thesis on the philosophy of video games), and I now have the time and opportunity to turn to the site in an even more serious way. I’m endlessly thankful to my other writers, and to all of you, my readers: it’s thanks to all of you that I’m able to contemplate taking With a Terrible Fate to the next level. With college over, I’ve had the time to develop a new vision for where With a Terrible Fate is going. This means that soon you’ll be seeing some rebranding and some changes, but (hopefully!)  all of these changes will be in the spirit of enhancing what you already love about the site. First, With a Terrible Fate has a new mission statement: the mission of With a Terrible Fate is to give gamers new tools for understanding and appreciating video games as a form of storytelling. Our articles have always been implicitly written with this goal in mind, but now we’re making it explicit. We’re also hoping to expand in the near future to develop other “tools” that serve our mission, meaning we won’t just be publishing long-form articles anymore. We’re also transitioning away from the blog environment and into the space of a serious publication. This means you soon won’t be seeing articles by “Aaron Suduiko + Featured Authors”: instead, you’ll be seeing work by a team of video game analysts, all equally dedicated to understanding the games they love and hate in new, insightful ways. Several new game analysts will be joining us next month, and I can’t wait to share their first articles with you—they’re all quite interesting. The site itself will also be getting a face-lift next month. We are especially grateful to all our readers who keep coming back to our work even though the design of the site itself leaves so much to be desired. You can expect a much sleeker interface, with easier-to-read articles and easier-to-search categories. We’ll also be taking steps to encourage more discussion: we want our readers responding to our work and talking about it, not just reading it! Next month will also mark the start of a regular schedule for article releases. Up until now, I’ve been publishing articles as soon as they’re completed; now, I’m holding articles back and planning a routine release of them so that readers know when they can come to the site and expect new content. Logistically speaking, this means we won’t be publishing any new work for the rest of July, but, from August onward, we’ll have a steady stream of work released at regular intervals for you. Want to know what the schedule is looking like? Want a sneak-peak at our upcoming topics of analysis? Well we’re also starting an email newsletter, which you can sign up for here. This isn’t spam, and we won’t share your address with anyone. This is just a way for us to directly tell you about our publication schedule for the coming month, upcoming features, and more. Here’s why the email newsletter really matters: you may not know it, but Facebook only shows the posts that a page makes to a small fraction of the people who like the page. If you want more people to see your content, you have to pay Facebook for “advertising”: you need to pay for advertising in order to reach your own fans. 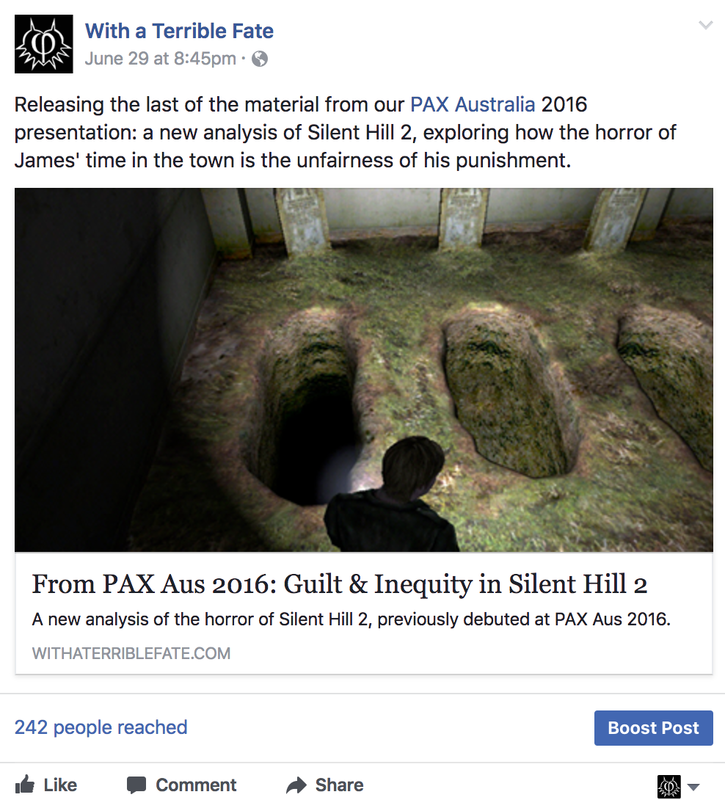 Right now, Facebook is With a Terrible Fate’s main way of communicating with its followers. However, we also have no funding right now, and we want to be able to actually reach everyone who wants to read our content. So please, if you’re interested in keeping up with us, sign up for our newsletter (one more chance, for emphasis). Now a bit more about funding. With a Terrible Fate doesn’t have any revenue at all right now. If you ever find yourself wishing we published more content, the reason why we can’t is that everyone involved in the site is working for free: that’s just how much we love thinking about video games. To really take this to the next level, we need the funding to compensate writers for their time: that’s what will allow us to grow and expand in all the ways we can imagine. But I refuse to rely on ad revenue for this purpose. So many video game website are saturated with ads and sponsored content these days; at With a Terrible Fate, the focus will always be on the value of thinking in new, rigorous ways about the storytelling of video games. We want you to enjoy our content, not to see ads. To that end, we’re starting a Patreon to give our readers the power to fund us. If you haven’t heard of Patreon, it’s a service that allows fans of creators to give them a recurring, monthly payment in exchange for cool rewards. This lets fans feel more intimately connected to the work of their favorite creators, and it also gives those creators the time and resources to commit more fully to their creative projects. This is what we’re hoping to use to grow With a Terrible Fate. We’ll be doing a full launch of our Patreon page when the new site is ready to roll out next month, but we’re actually already to do a soft launch of Patreon for our existing fan base. If you already feel like you know us and appreciate what we do, we would be honored if you would help us realize our full potential. Take a look at our Patreon and contribute here. We have lots of ideas for how to expand, but funding will also just help us do more of what we’re already doing. It will give us more time to write, and it will also give us the resources to speak at more conventions (airfare and hotels add up quickly). If you’re heading to PAX West, come connect with us and take in our talk! I’m especially excited about this talk because it explicitly focuses on With a Terrible Fate’s primary objective: developing new ways to think rigorously about the storytelling of video games. As we’re populating the account with content, we’re going all the way back to the start of the site, so following us will give you a fun retrospective on everything we’ve covered over the years. Thank you for being with us this far, dear readers. We’re so excited to take these new steps into the future of video games with you. Aaron Suduiko, Founder & Chief Video Game Analyst.